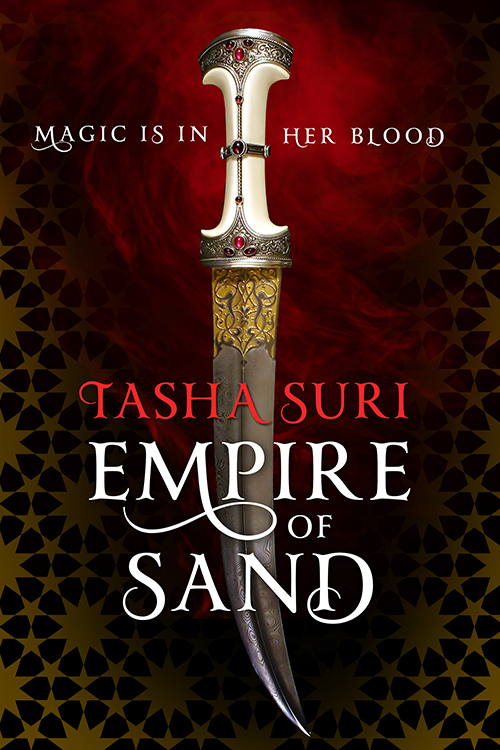 EMPIRE OF SAND is Tasha Suri’s captivating, Mughal India-inspired debut fantasy about a young woman whose magic might uphold—or destroy—an empire. Perfect for fans of City of Brass, Red Queen, and The Wrath & the Dawn, EMPIRE OF SAND will transport you to a land of dark myths and bloody magic, where the fate of the world hangs on one woman’s choices. Can’t wait until it’s published in November 2018? As announced on Book Riot, here’s an early preview of the gorgeous cover, designed by Lauren Panepinto, to whet your appetite! A nobleman’s daughter with magic in her blood. An empire built on the dreams of enslaved gods.